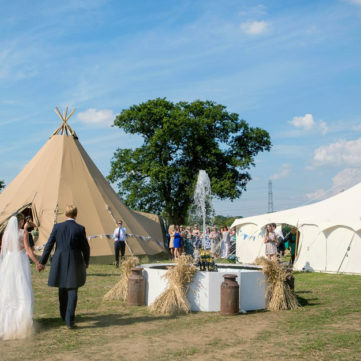 With a huge timber frame handmade in Sweden, these giant tipis offer an event space that looks breath taking at the same time as being hugely flexible. 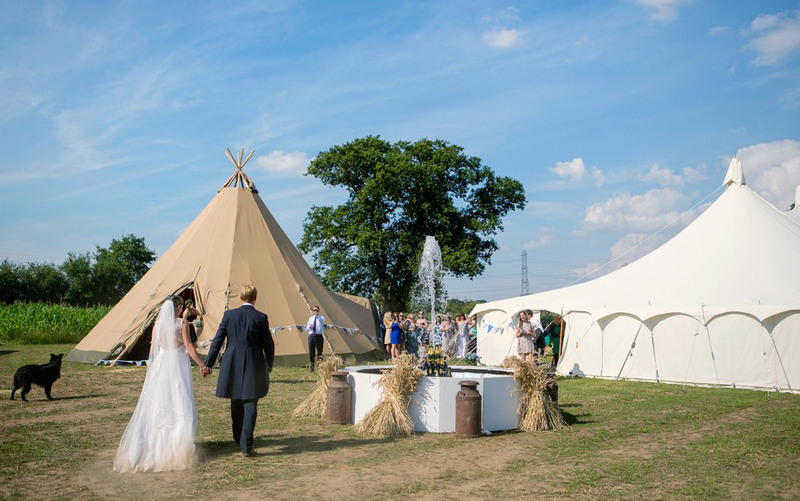 The natural colour of the tent and the bare wooden poles provide the ultimate ‘blank canvas’ to decorate, without the need for traditional linings. 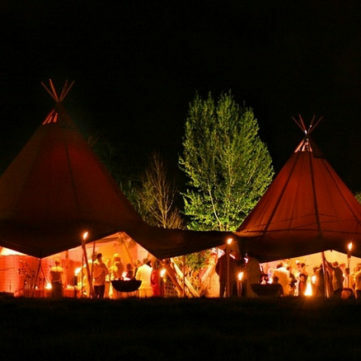 Complement this with rustic wooden furnishings, Buffalo Tipi’s creative lighting set-ups and natural woven carpets, and your event can be transformed – whether it’s a formal wedding, a relaxed summer party or a corporate adventure weekend. 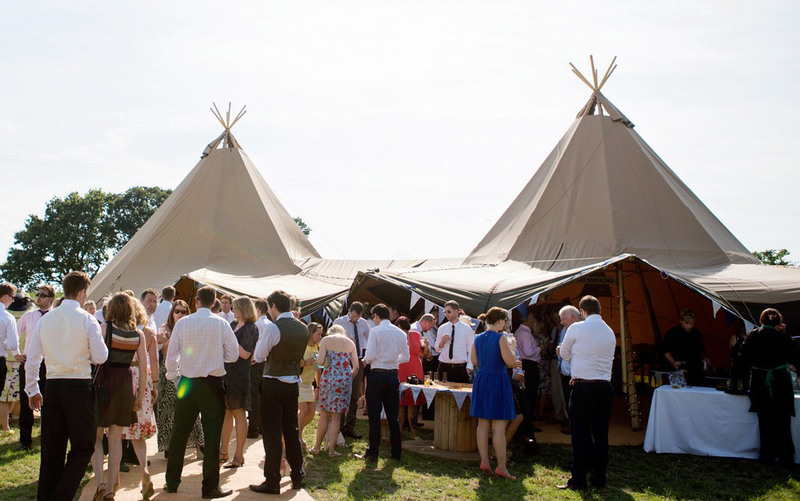 It is the design of the tipis that makes them flexible in many ways, and they can be linked together seamlessly in groups to cater to any event size. 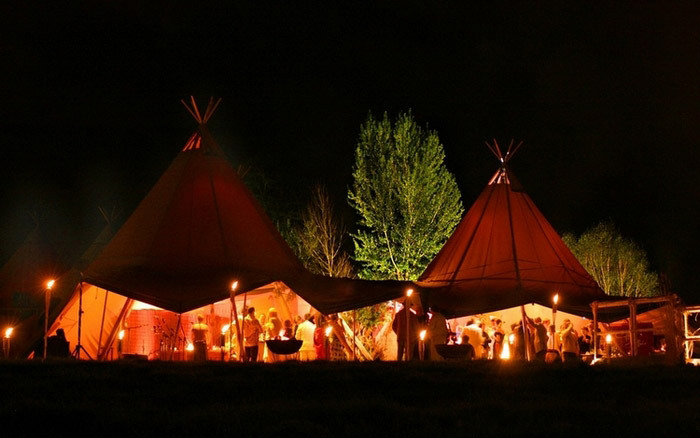 As a guide, 1 tipi can comfortably seat 50 people, a pair of tipis over 120, and 3 tipis joined can seat over 150 guests and still have space for a dance floor, stage and bar area. 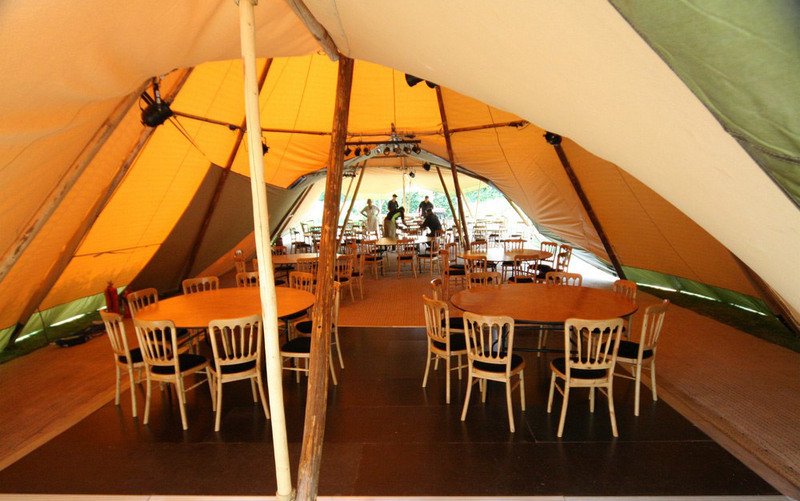 To see how the tipis can be joined in different formations and how they can be furnished for different events, view the pictures above. 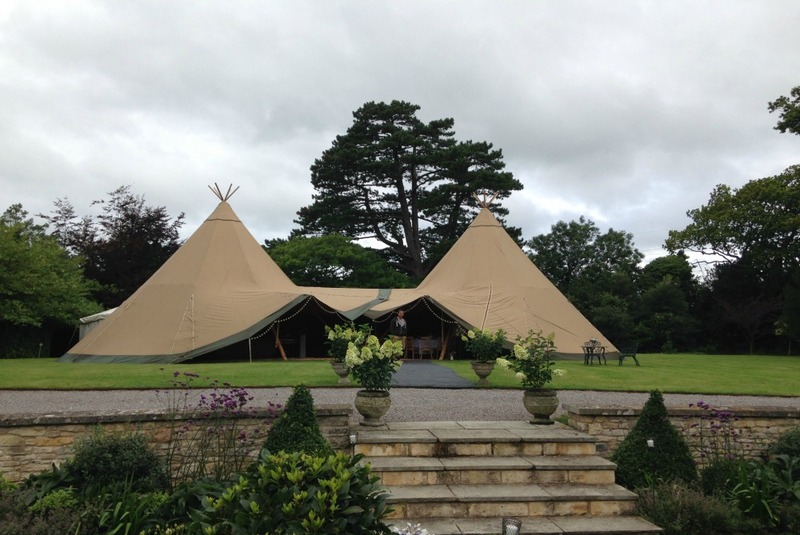 1 Tipi 10m diameter or 13m with the sides up. 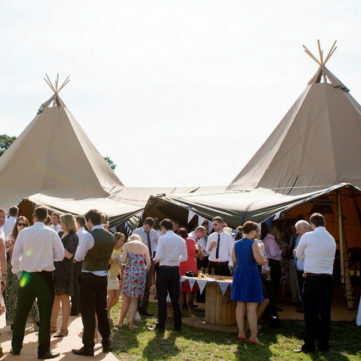 I Know that Mrs Gibbs will be writing to you on behalf of the Killmington Fayre Committee, but I wanted to add my thanks to your team of hardworking and willing young men. 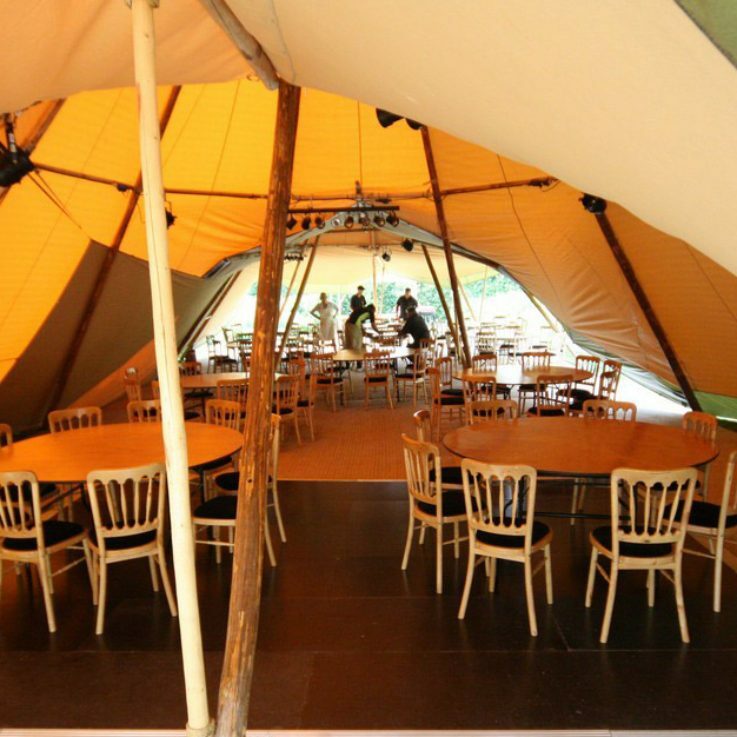 In addition to erecting the marquee for our floral exhibits, they delivered 100 chairs to the stage in the village hall without a word of complaint. 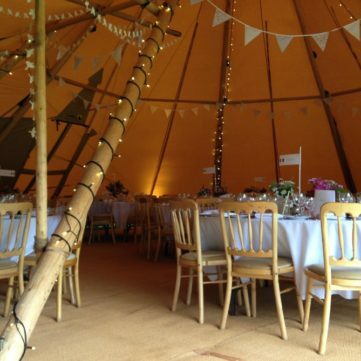 It is a pleasure to work with people with such a professional approach. 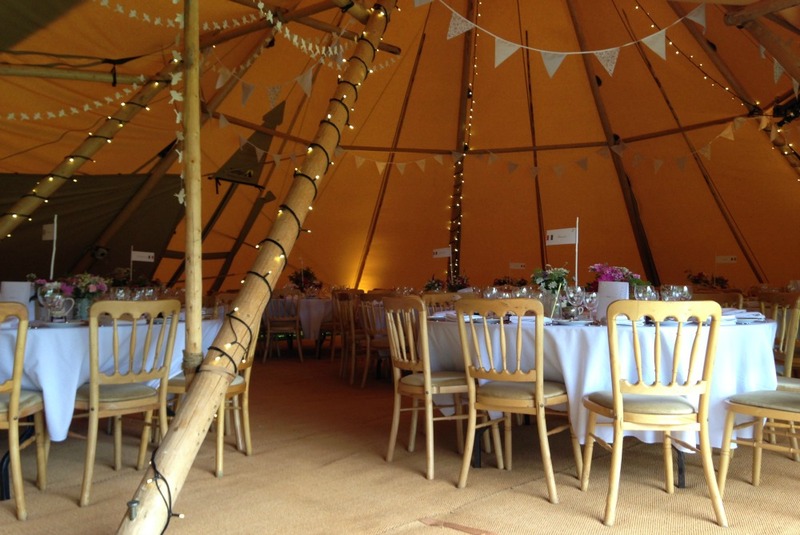 To all the team at South West Marquees, just a little note to say thank you for your lovely marquee for our wedding day on the 10th of June at the Botanical Gardens in Bath. It was great to work with you before and on the day, so thank you very much. Thank you so much for everything. 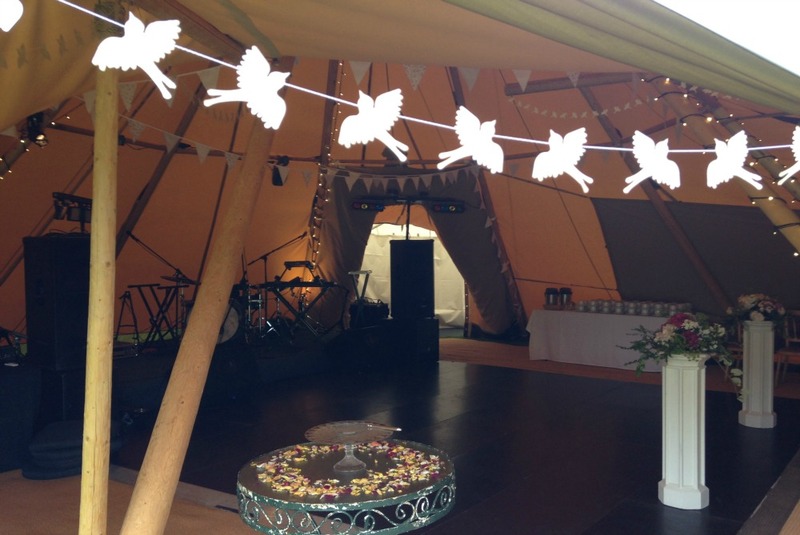 The whole team was wonderful from the first enquiry to the take down on Monday. 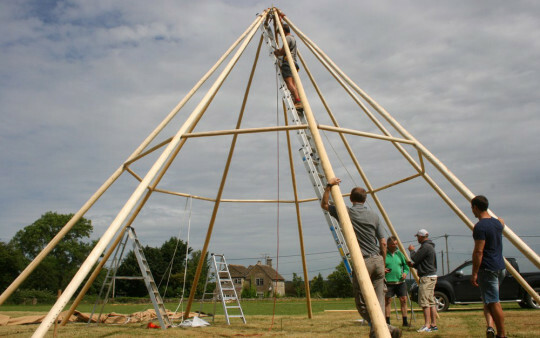 The guys that came to put it up were brilliant – really efficient and so helpful. 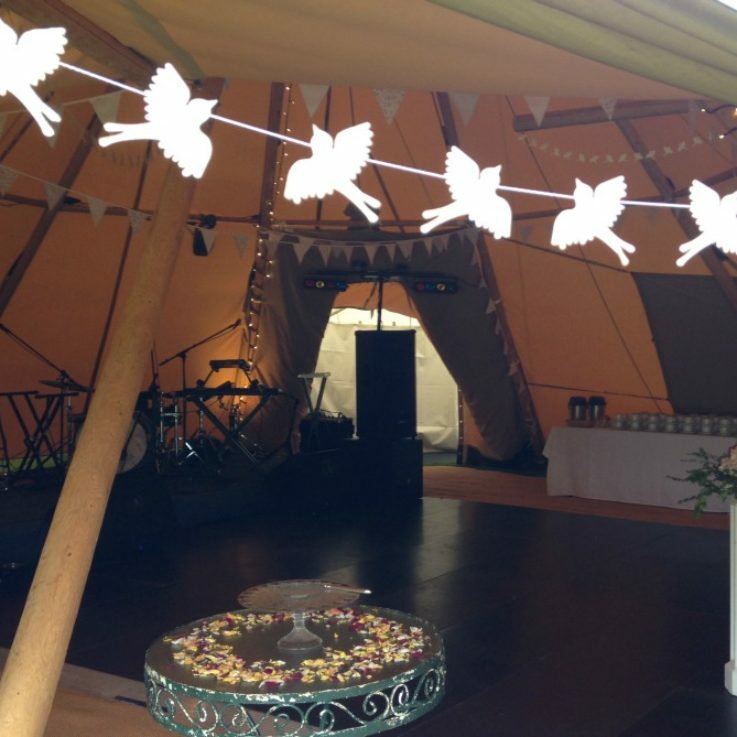 The tent looked amazing and it was the perfect size for the number of people we had.